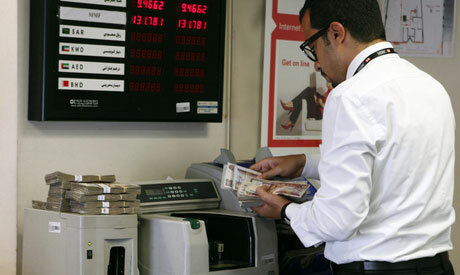 The monetary policy committee of the Central Bank of Egypt slashed the deposit rate and the lending rate by 50 basis points to reach 8.75 percent and 9.75 percent respectively on Thursday, the bank’s website showed. The committee has also lowered its discount rate and the rate it uses to price one-week repurchase and deposit operations to 9.25 percent. The cut in the rate of the borrowing cost for the second time in row comes on the back of the softening inflation. In August, the central bank lowered its main overnight interest rate by 50 basis points for the first time since 2009. Egypt’s annual urban headline inflation fell to 9.7 percent in the twelve months to August 2013, down from 10.3 percent a month earlier, figures from the Central Agency for Statistics and Mobilisation (CAPMAS) showed earlier in September. The one-percent-decline of food and beverage prices over the last month has attributed to slowing the Egypt’s consumer price index. It added that factors mentioned above pose downside risks to domestic GDP, which will limit upside risks to the inflation outlook going forward and that has driven the cut in key central bank rates. Cairo-based investment bank Beltone Financial expected on Thursday that the central bank would lower interest rates to help the government achieve its primary goals of boosting domestic economic growth in addition to maintaining price stability. “We do not expect any imminent upward pressure on the inflation outlook in September and October 2013. International food prices will continue to ease in the next couple of months following August’s trend,” Beltone deemed. The Egyptian pound is at an official average of 6.90 to the dollar, according to the CBE website. The US dollar has dropped by 1.4 percent, after averaging LE7 in mid-June.